How about a pen drive that not only connects to your laptop via USB, but also let you wirelessly share its contents with friends around you? 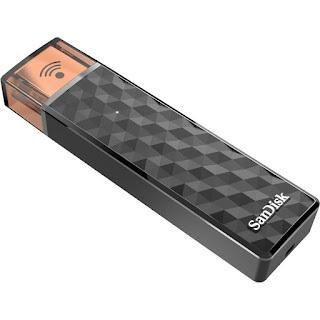 The SanDisk Connect Wireless Stick works with computers as well as mobile devices. All you need to do is plug it into your USB port every now and then to charge it (and perhaps copy the files you want on it). The pen drive – available in 16, 32, 64 and 128GB (Rs 1,800 – Rs 6,400) – then lets you stream music or videos to three smartphones, tablets or computers as long as they’re in the vicinity.